Scientists Search For Toxins In Cigarette Smoke Residue : Shots - Health News Chemicals in cigarette smoke can settle on clothes, furniture and walls. Researchers call this thirdhand smoke and say laboratory experiments suggest it could be hazardous. Long after the smoke is gone, carcinogenic chemicals remain. Everybody knows smoking is hazardous. Being around someone who smokes isn't such a good idea either. "There's no safe amount of secondhand smoke," the surgeon general has said. Now thirdhand smoke is getting scrutiny. What's thirdhand smoke? It's the residue from smoke that settles onto clothes, hair, furniture or anything else in a smoker's vicinity. These chemicals can react with others in the air or on surfaces to create even more potentially hazardous substances. "Thirdhand smoke can grow more toxic over time," says Bo Hang, a scientist at Lawrence Berkeley National Laboratory. He briefed the media Monday on findings from his lab's work on thirdhand smoke presented at a meeting of the American Chemical Society in Dallas. The concept of thirdhand smoke is fairly new, and remains controversial. Hang's lab has looked at tobacco-specific chemicals that alter DNA, including one called NNA that is very similar to a well-known and potent carcinogen called NNK. 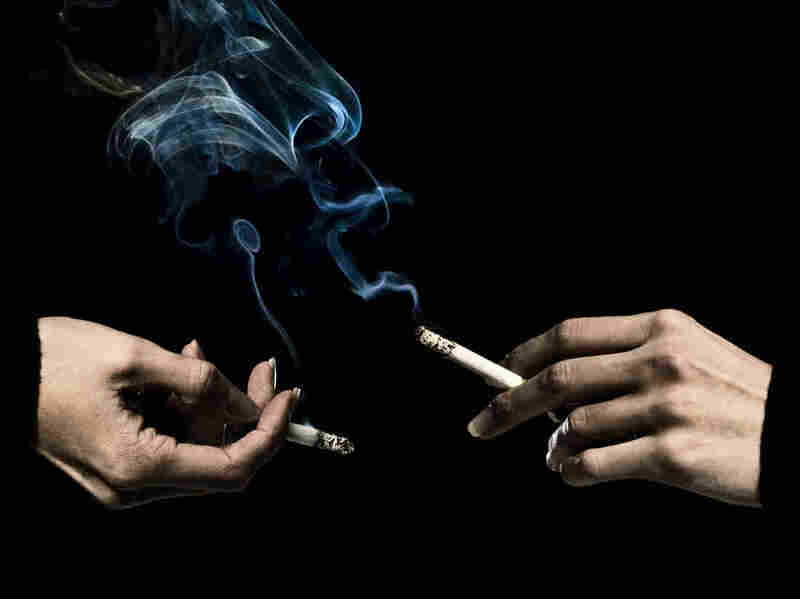 Is thirdhand smoke dangerous in the real world? Just because something can be detected doesn't prove that it's a health hazard. "We cannot ignore these compounds even though they are in small quantities in thirdhand smoke," Hang says. Still, the press materials released before his talk concede there's a lot of work to do before cause and effect can be shown. "Just as it took years to establish the cancer-causing effects of first-hand smoke that is inhaled as a person breathes in directly from the cigarette, making the connection between third-hand smoke or NNA and cancer could take a long time," said a statement attributed to Hang. In his remarks to journalists Monday, Hang said many clinical studies would have to be performed to characterize the health risks. Among other things, Hang and his group are looking for chemical markers that would help them identify DNA damage specific to thirdhand smoke exposure. Previously, Hang's group published a paper in the journal Mutagenesis that said they had demonstrated the toxic potential of thirdhand smoke for human cells. "This is the very first study to find that thirdhand smoke is mutagenic," Lara Gundel, a colleague of Hang's and a co-author of the study, said in a statement last June. "Tobacco-specific nitrosamines, some of the chemical compounds in thirdhand smoke, are among the most potent carcinogens there are." Although the potential risks attributed to [thirdhand smoke] exposure are increasing, virtually nothing is known about the specific health implications of acute or cumulative exposure. Therefore, there is a critical need for animal experiments to evaluate biological effects of [thirdhand smoke] exposure that will inform subsequent human epidemiological and clinical trials. The experiments described in the PLOS ONE paper showed that mice exposed to smoke residue, but never actual smoke, had tissue damage and other changes in health a lot like those seen with secondhand smoke.